Multiple sclerosis affects more than two million people worldwide. The degenerative autoimmune disorder attacks the central nervous system, specifically the insulating coating around nerve cells. In 50 percent of all MS patients, this leads to cognitive dysfunction, which may be caused by damage to the thalamus. Similar to an information hub, this area connects other areas of the brain, so damage to it could lead to poor neural connections elsewhere, too. To strengthen or repair these connections, researchers in Italy found video games were incredibly beneficial in just a short amount of time. The study, published in Radiology, was led by Dr. Laura De Giglio from the neurology and psychiatry department at Sapienza University in Rome. De Giglio and her team designed a cognitive rehab therapy using the game Dr. Kawashima’s Brain Training, a series of mental challenges based on the work of Japanese neuroscientist Ryuta Kawashima. The researchers brought together 24 MS patients suffering from cognitive impairment and separated them into two groups. The first took part in an eight-week, home-based rehab program of one 30-minute game session a day, five days a week. The second group served as the control and did nothing. At the beginning and end of the experiment, each participant was evaluated with cognitive tests and resting state MRI scans, which can shine a light on neural connectivity. "Functional MRI allows you to study which brain areas are simultaneously active and gives information on the participation of certain areas with specific brain circuits," De Giglio said in a press release. "When we talk about increased connectivity, we mean that these circuits have been modified, increasing the extension of areas that work simultaneously." At the end of the eight weeks, the video-game-playing group showed significant improvement in their cognitive test results as well as increased thalamic functional connectivity in one of the most important parts of the brain that deals with cognition. The results display our brain’s plasticity, the ease with which it forms new neural connections over the course of our lives. "This increased connectivity reflects the fact that video gaming experience changed the mode of operation of certain brain structures," De Giglio said. "This means that even a widespread and common use tool like video games can promote brain plasticity and can aid in cognitive rehabilitation for people with neurological diseases, such as multiple sclerosis." The researchers hope their study shows that video game brain training can help improve the cognitive abilities of patients with MS. 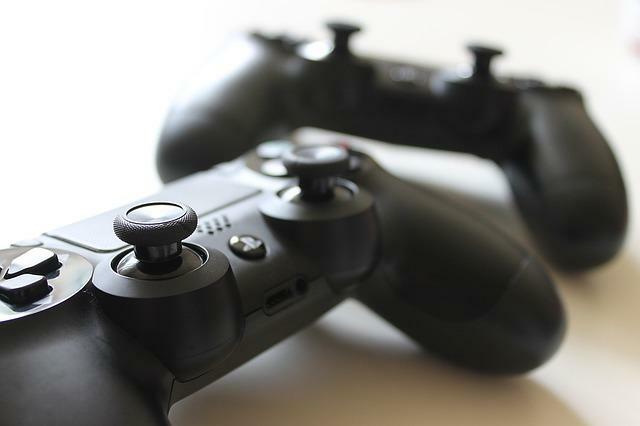 In the future, they hope to discover whether the plasticity created by playing video games can lead to improvements in the daily lives of MS patients, and to determine whether this therapy can be integrated with other rehabilitation programs. Source: De Giglio L, et al. Multiple Sclerosis: Changes in Thalamic Resting-State Functional Connectivity Induced by a Home-based Cognitive Rehabilitation Program. Radiology. 2016.